When Amazon acquired Whole Foods earlier this summer, it set off a flurry of speculation about what changes the new ownership would make to the organic supermarket chain. Lower prices? Same-day grocery delivery? An Alexa in every store? Well, wonder no more; the changes are here, and frankly, they rule. 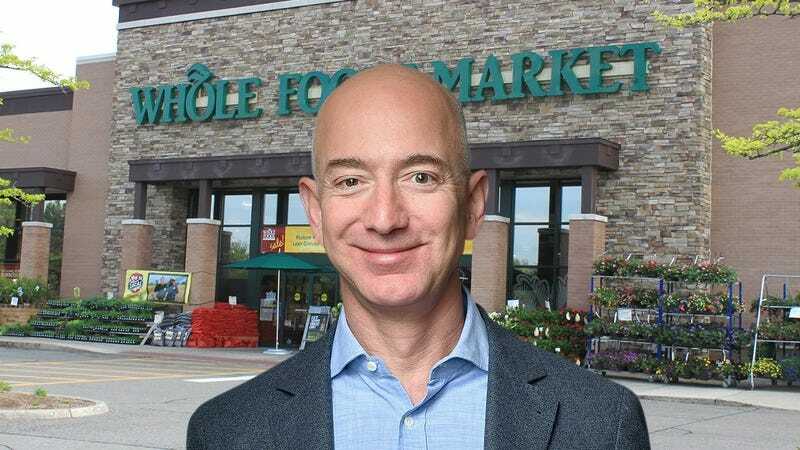 Foodies rejoice, because under Amazon, Whole Foods is going to start selling succulent drone meat this winter! Um, could this merger have turned out any cooler? We’re already getting hungry just thinking about it. Starting in November, Whole Foods customers will be able to buy fresh organic drone meat, harvested directly from Amazon’s vast supply of delivery drones. Starting at a reasonable $4.75 per pound, the tender, flaky meat will be available both bone-in and boneless at Whole Foods deli counters. According to Whole Foods, some stores will even stock pre-seasoned drone meat, starting with Cajun style and marinated sweet Thai chili options, as well as a rotating selection of hot prepared drone-meat meals. It all adds up to one thing, though: Thanks to Amazon, Whole Foods has finally taken all the stress out of painstakingly catching drones, cracking them open, and scooping out all the goop to get at their juicy meat. Pretty cool! Here’s hoping they get cartons of drone eggs in soon! If this is what we can expect from Whole Foods in the future, we’re pretty dang excited for this new era!